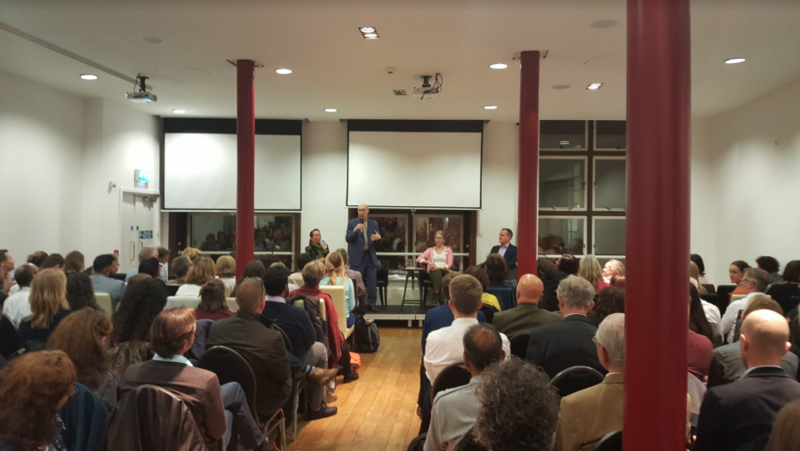 Around 150 people attended last night’s event, which was a great success. The Seven Dials Club in Covent Garden, London, is a perfect venue for an informal seminar with lots of interaction among the participants. My friend Dr Norman Rosenthal spoke for 30 minutes on the expansion of consciousness experienced by those who practise Transcendental Meditation regularly, as I have for the last 15 years. I was one of three guests who shared our experiences, with a focus on creativity. The other two guests were Chelsey Baker, founder of National Mentoring Day, and Renée Elliott, founder of Planet Organic, Britain’s first chain of organic supermarkets.